Radiation Hardened Products - Empire Magnetics Inc.
High energy gamma radiation will attack all of the materials in a device, however the non-metallic materials in a motor or resolver are subject to more rapid breakdown. Lubricants, varnish, adhesives, insulations, and cables deteriorate and ultimately crumble. 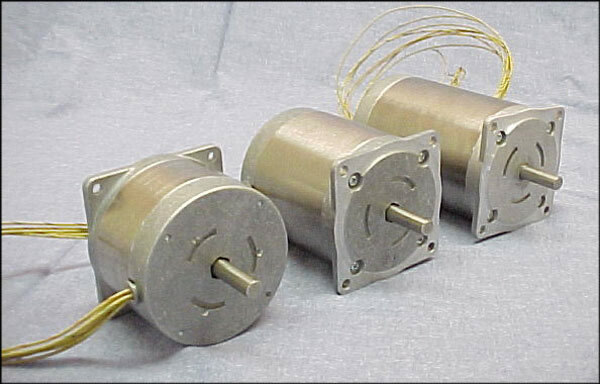 Empire Magnetics radiation hardened stepper motors, motors and resolvers (RH-) combine the best available radiation resistant materials with practical commercial practices to provide products with the longest possible service life within pragmatic budgetary considerations. Radiation hardened include stepper motors, resolvers, brushless motors, gearboxes, brakes. On a custom basis AC motors, assemblies of various types and complete systems can be provided. Note: Waterproof and Radiation Hardened products have been developed for specific applications. This combination requires a compromise of radiation resistance or a significant design change.